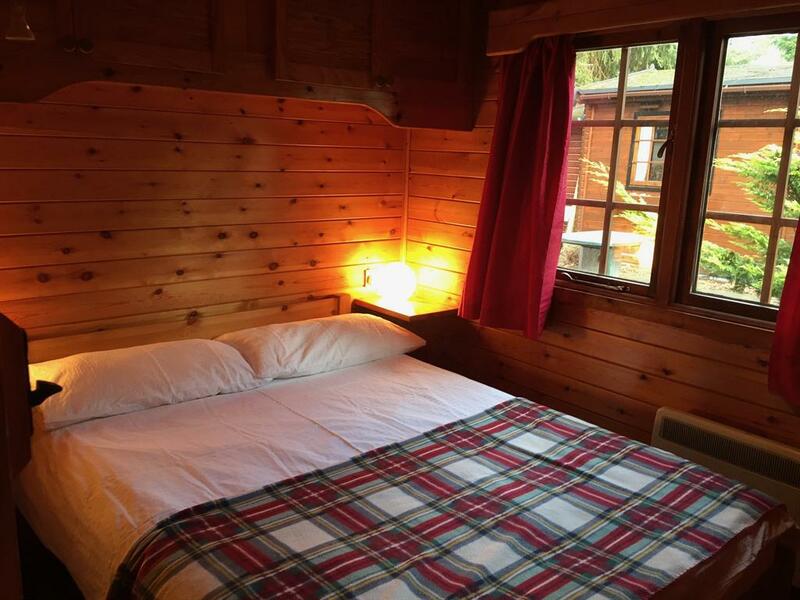 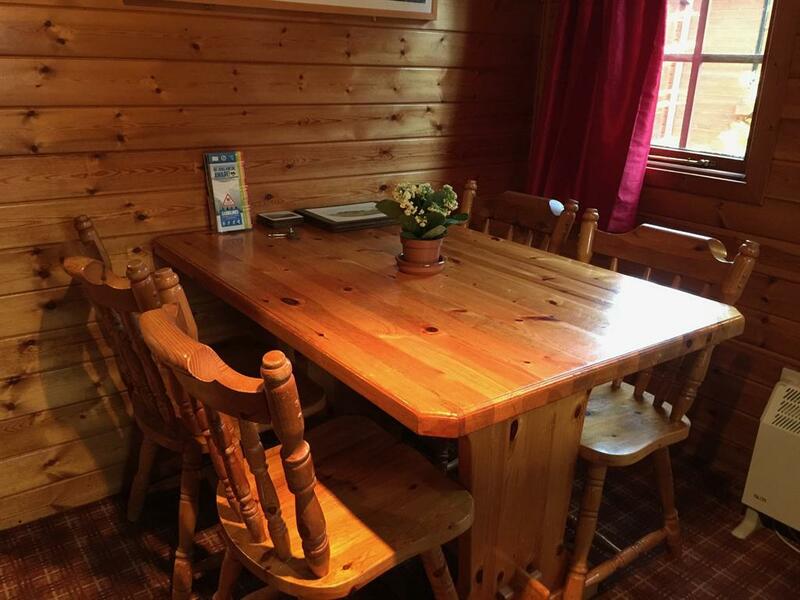 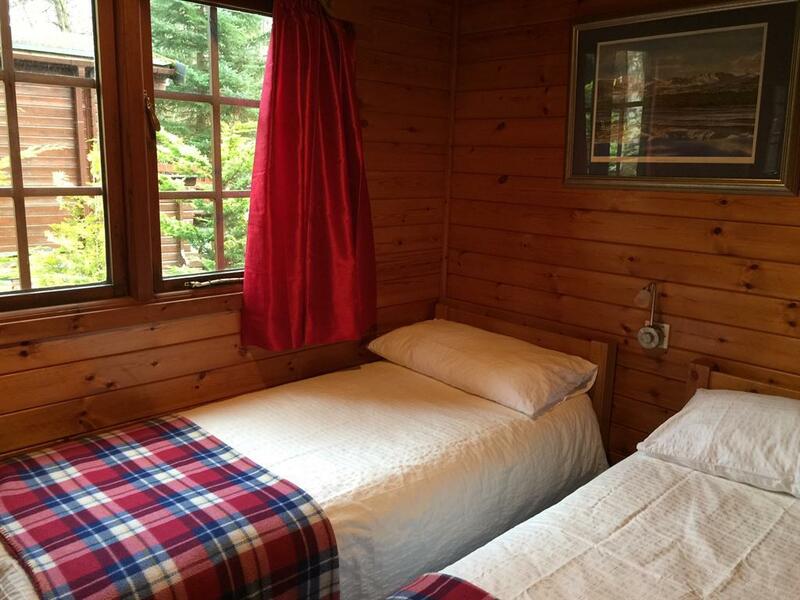 Self catering log cabin which sleeps 4 in 1 double and 1 twin room. 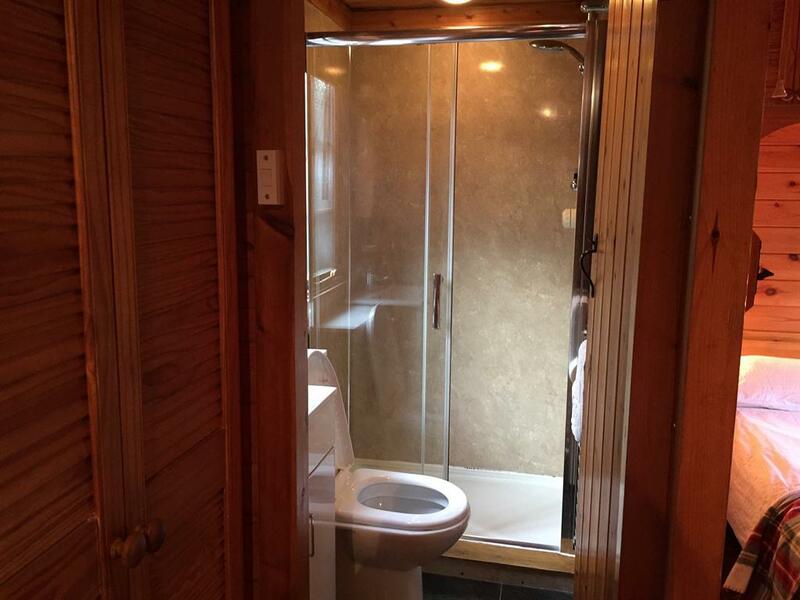 There is also a living room and dining area, shower room and galley kitchen. 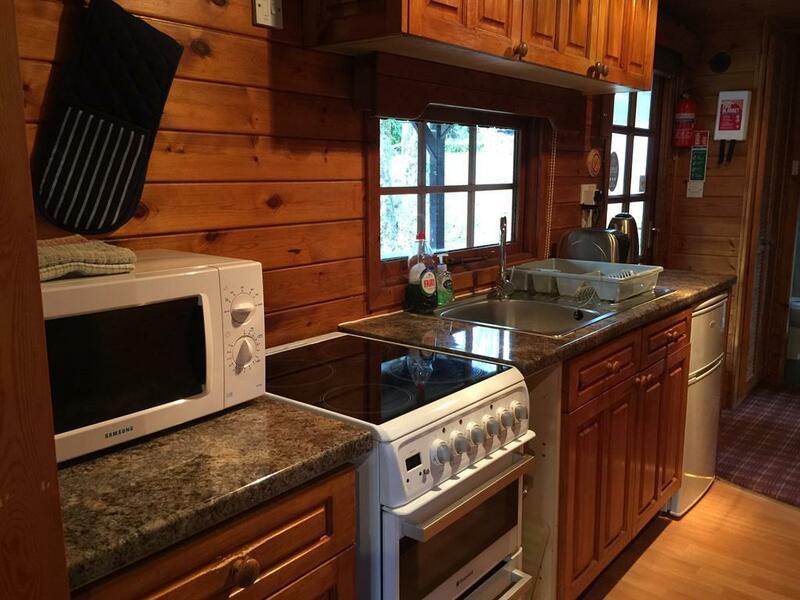 The kitchen is equipped with hob, oven, microwave, kettle, toaster and fridge. 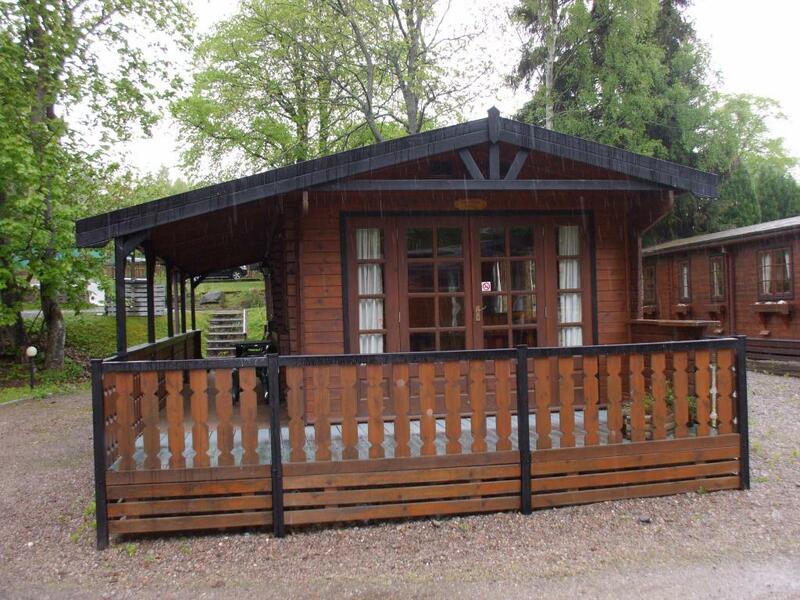 It is all on the ground floor level except there are 3 steps up to the front door. 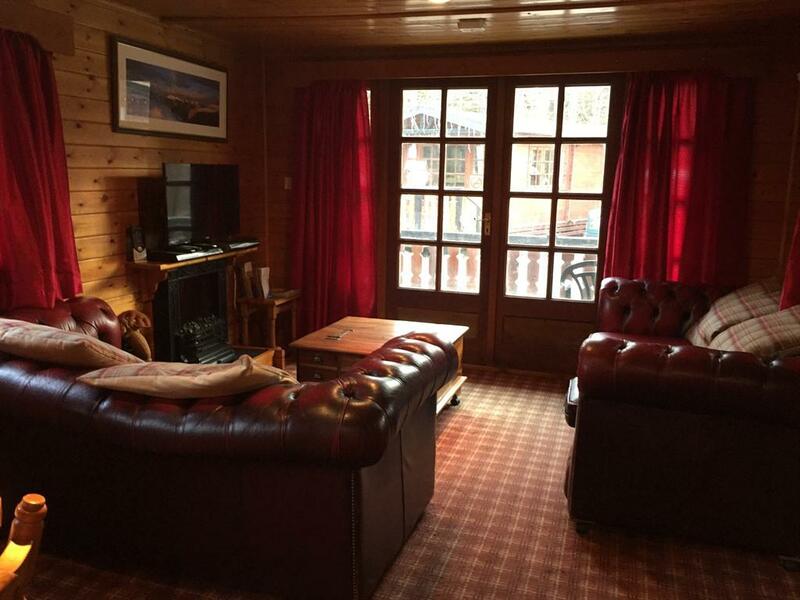 There is a television and dvd player in the living room and sky tv free channels. Parking is available just outside for two cars.